When trap music is highlighted in the context of China and especially in English, the discussion often wanders into focusing on the showy garish side, before writing off the burgeoning scene as a shallow imitation of the popular North American genre. But in this story, Eugene sits down with David Zhou and Lucas Farrar, who set the record straight on the Chinese hip hop scene, specifically as it pertains to Chengdu and Chongqing, the two rival cities building the scene from the ground up and laying claim to the title of China’s hip hop capital. The restaurant’s loudspeakers blare an order number and a waiter brings over a plate of roasted fish laden with chilies. The three rappers at the table briefly set aside their phones, but it’s not long before everyone huddles around one to hear a demo recorded hours earlier. They silently mouth the refrains from each other’s verses. 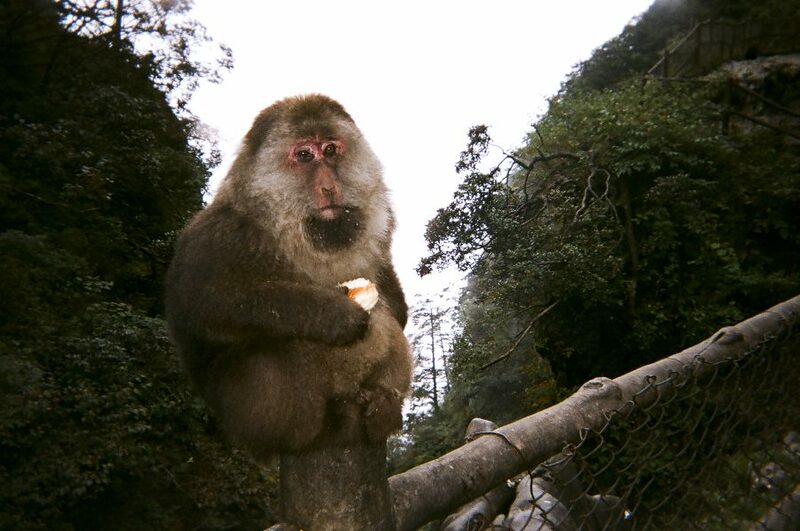 Their recorded bars are full of phrases from the local dialect, opening up phonological possibilities that’d be otherwise restricted by the rigid pronunciation of standardised Mandarin. Mid-mouthful, one of them announces that a video excerpt of the song is already racking up numbers on social media. We’re in Chengdu, the capital of China’s south-western Sichuan province. Known for its tongue-numbing spices and Mahjong filled teahouses, this city of over 10 million people has recently become home to a burgeoning rap scene. 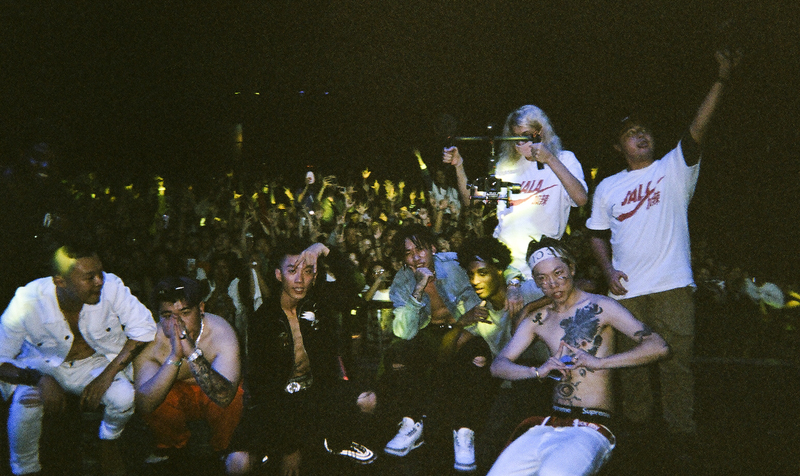 The three rappers, AnsrJ, Lil Shin, and Mengzi, are part of the city’s central rap collective, CDC (also known as the Chengdu Rap House). 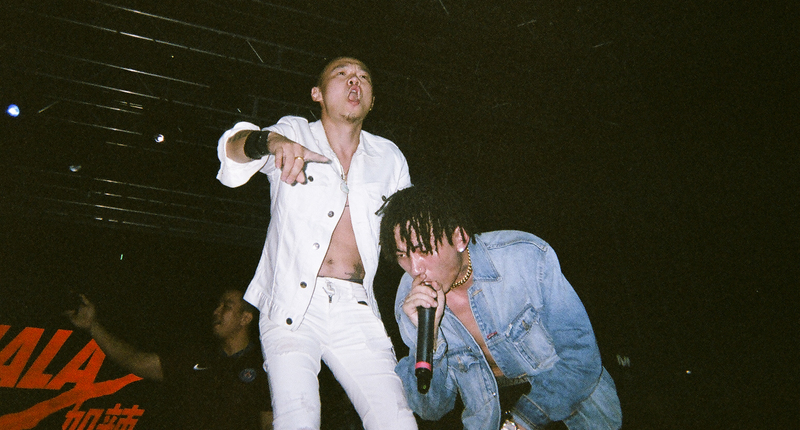 Founded in 2010, CDC’s profile has risen onto the global radar partly due to the success of Higher Brothers, a 4-person supergroup often referred to as the Chinese Migos because of their similarly electrifying chemistry and their vocal debt to the triplet flow popularised by the infamous Atlanta trio. They've had to make a lot of sacrifices in their lives, especially in the family context. 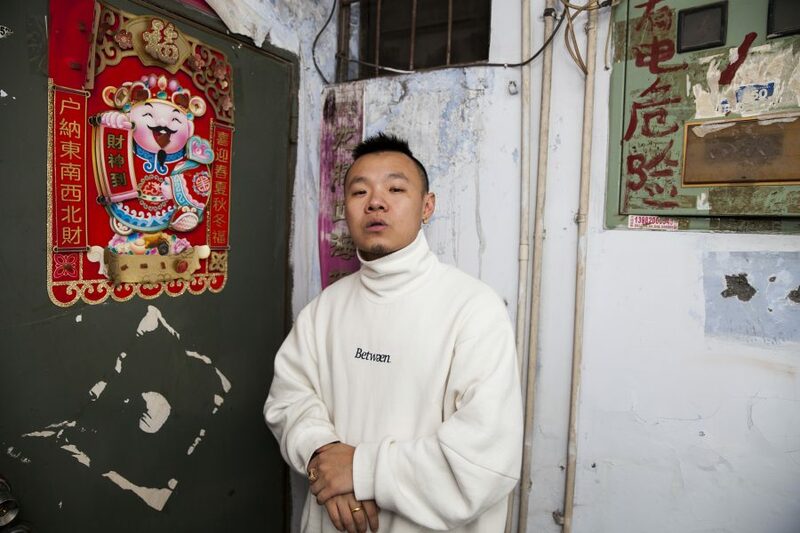 Rap in Mainland China can be roughly split into two eras. The first was dominated by the politicised Boom bap-influenced scenes of Beijing and Shanghai and took cues from Taiwan and Hong Kong. The current generation is more de-centralised, made by a hyper-connected WeChat generation accustomed to peeking over China’s Great Firewall (the intricate state-sponsored system of Internet censorship). Trap is their vehicle of choice. Founded in 2010, CDC have been pivotal in spearheading this second generation. Even to a Chinese audience, CDC’s songs are often indecipherable. Chinese is a tonal language; the meaning of Chinese characters (which combine to make words) depend on the pitch of their pronunciation. In English language rap, rhythms are underscored by vocal stresses. However, when transplanted to Chinese, these stresses can cut across the tones of Chinese characters and muddy their meaning. The mirror effect of this is that Chinese rap that strictly adheres to the tones of standardised Mandarin pronunciation often comes off as staccato and rigid. This isn’t too much of a problem for Boom bap’s insistent rhythms, but makes a difficult fit for trap’s slurred nature. 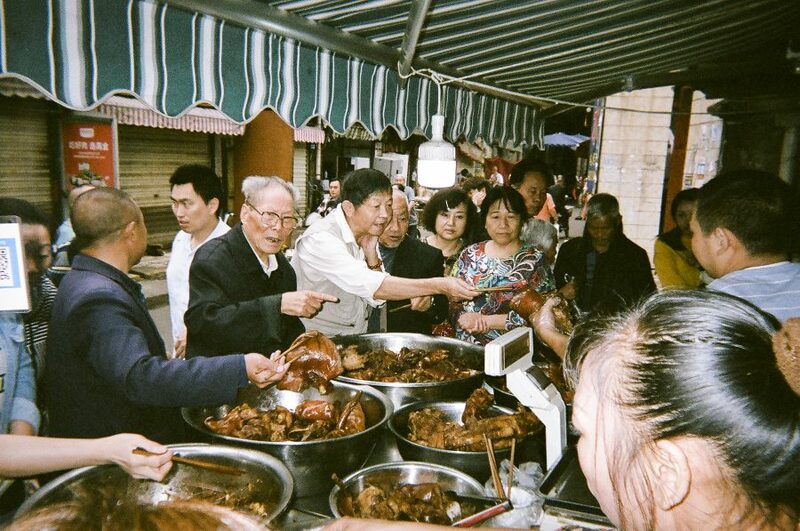 Chengdu’s rappers get around this by mixing their provincial dialect with Mandarin. Unlike other Chinese dialects, which make heavy use of flat tones that can give the musical impression of monotony, the Sichuanese dialect is rich with rising and falling tones. 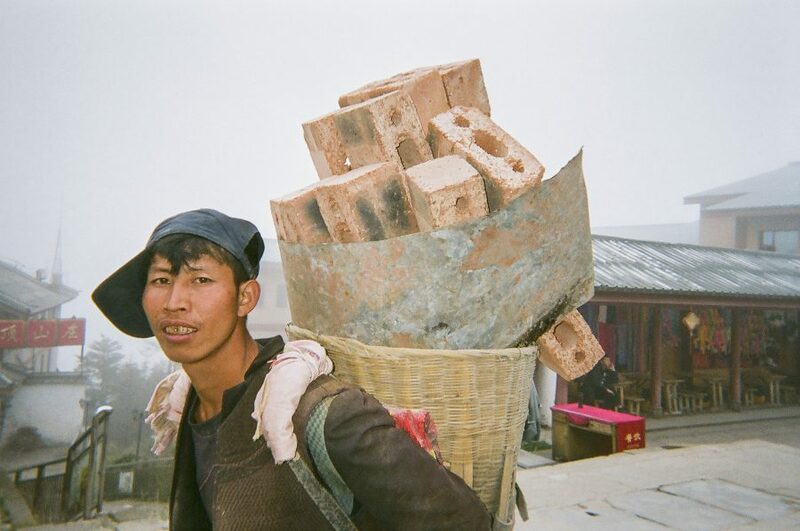 The tone for one character can polar opposites when spoken in standard Mandarin or Sichuanese. This means that, when used together with Mandarin, the dialect unlocks a wealth of options as to where stresses can fall within a bar. 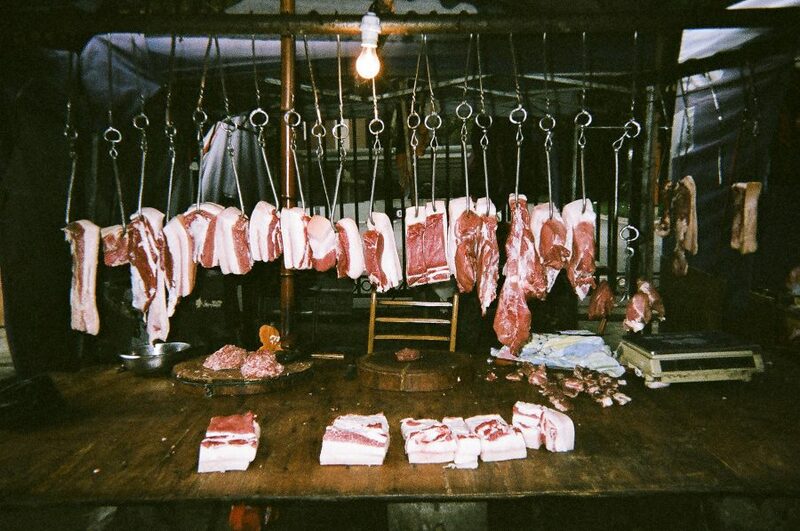 Combined with the dialect’s propensity for exaggerated pronunciation (think the drawn- out vowels of a Dirty Southern drawl) that the locals call Ya-Jian—literally, “sharp tooth”—Chengdu’s rappers have been blessed with a linguistic toolbox that perfectly suits trap. Good music makes you feel a certain way and brings about a certain energy. And [even] if that energy is apart from a long historical knowledge of a genre, the music can still be good. But ultimately, you’re more likely to become rich in China by being a mid-level provincial bureaucrat than a rapper. 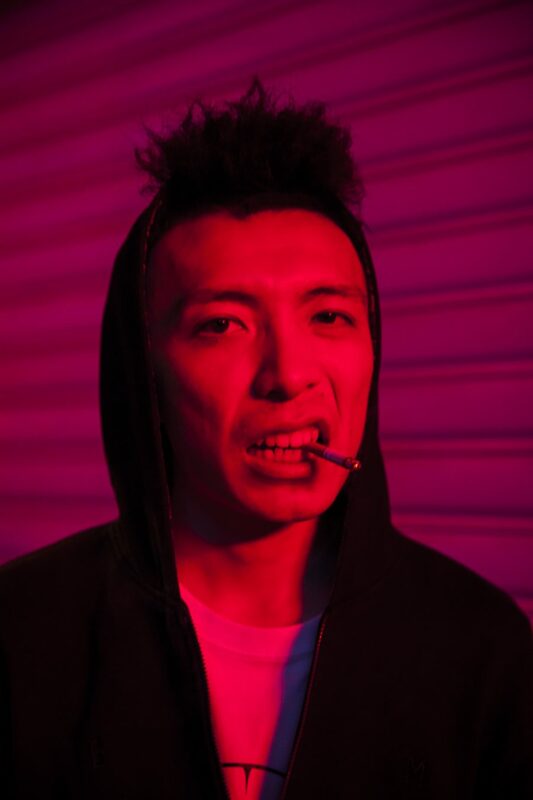 Most of the artists on Rap of China have been steadily cultivating an organic underground following for the best part of a decade, kilobyte by kilobyte. Success has not come easily; dotted throughout the comments of Masiwei’s (the ostensible ringleader of Higher Brothers) early Weibo posts (China’s version of Twitter) are personal attacks, accusing him of shaming his family for his life choices. Choosing to be a rapper still comes with real stigma in a country where Confucian notions of knowing one’s place in society loom large. Just as the Chinese characters for the word ‘trend’ can also mean a ‘tidal current’, most of the rappers realise that this wave of mainstream success will rise and fall. Ty, a CDC member with a natural screwface and a wicked sense of black humor, explains: “Rap has got a long way to go in China. The door’s only just been opened enough to let some light in. To be honest, many of the new fans are not particularly focused on the music. That’s cool, let them enjoy it. When the excitement fades, only a portion of them will remain and really follow the music. That will be a bottleneck—how we get through that bottleneck will be important”. 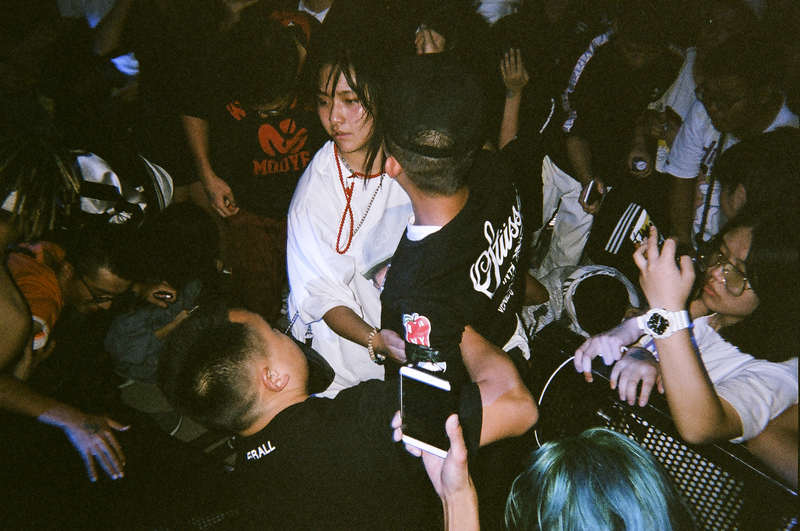 On the western outskirts of Chengdu, some 400 fans have lined up an hour before doors open to see Higher Brothers and homecoming rapper Bohan Phoenix perform. A huddle of 16-year-old fans gives its view on rap’s staying power: “We first started listening to rap through CDC. Listening to these guys rap in our dialect made us proud—they were expressing something to us that we hadn’t heard before, either by Western rappers or old-school Chinese rappers.” After the show, another teenage fan tells me that he’s flown from Kunming, a city 1,000 kilometers from Chengdu, just to catch this show. Naturally, he plays me his mixtape. 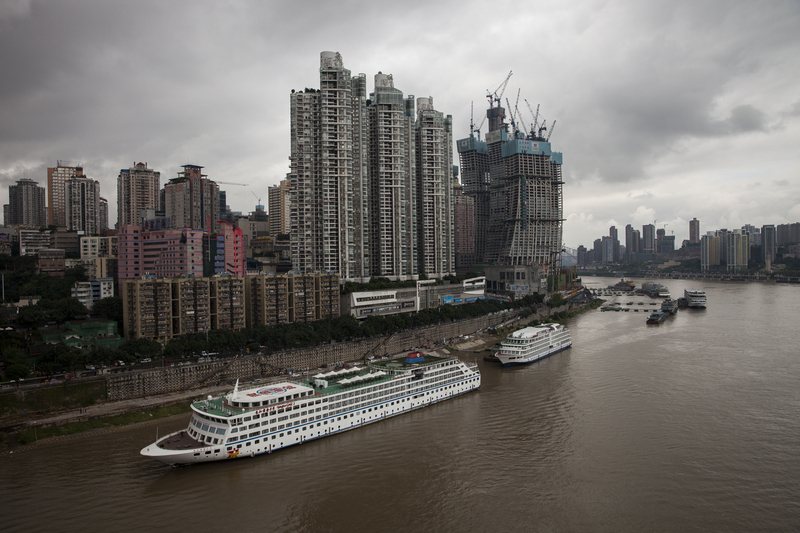 The city of Chongqing is approximately 300 kilometres from Chengdu. Since the completion of a high-speed railway in 2015, the two cities are now only two hours away from each other and much like a pair of brothers, share some similarities but retain key differences. 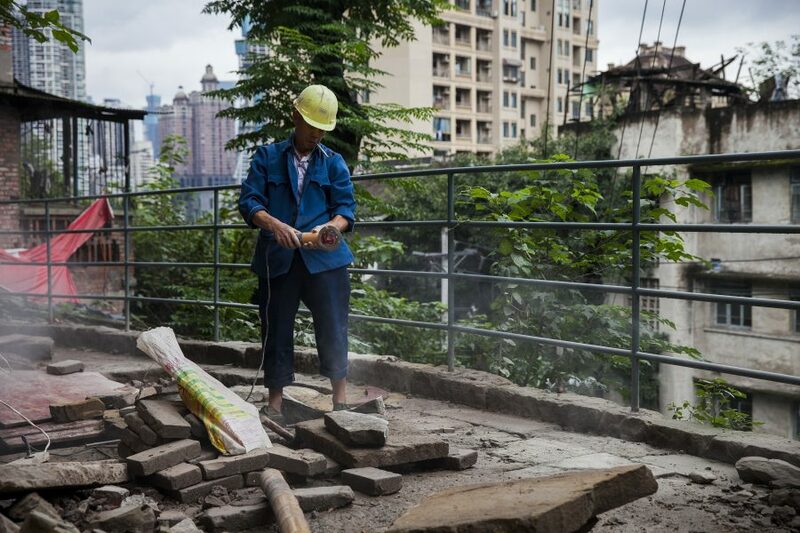 As might be expected of siblings, there’s a rivalry between the two metropolises where Chengdu natives see themselves as the relaxed brethren to Chongqing’s gruff hustlers. The saying goes that if you give a Chengdu native 100,000 RMB, he’ll buy two cars worth 45,000 RMB each and save the rest for hotpot; if you give a Chongqing native 100,000 RMB, he’ll borrow 50,000 RMB more to buy a better car. The two cities’ rappers also happen to be frontrunners in the race for the Chinese public’s attention. Flying the flag for Chongqing is GOSH Music. Comprised of 12 members, the group’s style spans a range as wide as the mountains that flank Chongqing. From Bridge’s Day-Glo melodies to Wudu Montana’s earthen portraits of everyday life, from Gai’s classical canvasses to K-Eleven’s iced tea sweet auto-tune, their music reflects the vastness of the city they call home. Their 4-character refrain (“this is the fog city”) can be heard bleeding out of earphones all day. Whilst influenced by CDC, whose music shares much of the same genome as Western trap, GOSH’s music is arguably a native Chinese species. A lot of them are focused on putting in their local or very traditional Chinese culture into their lyrics and music. Chongqing is a place of confluences. It is where the Yangtze River joins up with one of its biggest tributaries, the Jialiang River, and where rap mixes closest with traditional Chinese culture. You can hear these in the songs of Gai, who is enjoying mainstream success after winning the Rap of China. His lyrics are laced with obscure references from Chinese literary classics and China’s dynastic history. A characteristic feature is his use of Cheng-Yu, idiomatic phrases consisting of 4 Chinese characters which surpass the meaning of the individual characters. Gai often draws for such stylized phrases in his songs, opting for Cheng-Yu that are more commonly associated with formal banquet table speeches rather than the recording booth. He also draws heavily upon the classical Chinese heritage of Jiang-Hu culture (a romantic ideal of Robin Hood-esque vagrants roaming the rivers and marshes of imperial China rooted in the tales of the Song Dynasty in the novel Water Margin) and often eschews trap’s slurred enunciation for the vocal stylings of traditional Chinese singing. When you really interact with the artists and the fans, you realize they've invested a lot of their energy and identity into this. And they're doing it from a place of sincerity. The two cities’ rappers are at an important junction as they begin to chart a path through their increasing mainstream exposure and the pursuit of authenticity. It remains to be seen just how much longevity rap has in China and whether any of these artists can attain success overseas. However, as I sit in Harikiri’s studio and watch AnsrJ write a completely new verse in the time it takes him to finish his drink, it’s clear that there is a real hunger here and these artists will do everything to get their message out. Higher Brothers have just announced a North America tour and Gai has surpassed 2 million followers on Weibo. The sounds of the Middle Kingdom are breaking through.